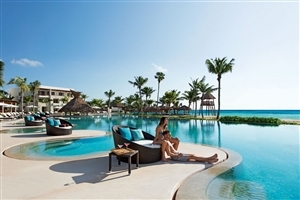 Situated amongst the beautiful sands and gently ebbing waters of Akumal, the Secrets Akumal Riviera Maya combines the endless supply of splendour that Cancun is so well known for with world-class luxuries that only the Secrets can provide. 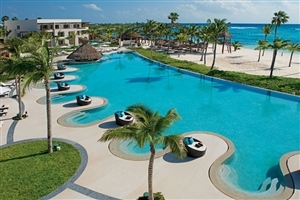 Bringing the wonders of the Riviera Maya to the fore, this palatial, adults-only resort is a haven wrapped in a paradise for any travellers looking to splash out on nothing short of perfection to help create the most memorable holiday experience possible. 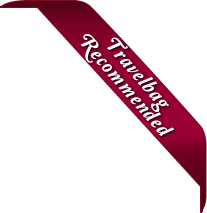 With Playa Del Carmen a mere twenty minutes away, exploration is never out of the question for the adventurous, and with so many soothing amenities, in-house dining venues and a choice of any one of 434 lavish accommodations, this is an exotic escape suited to the elite. 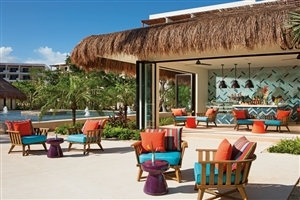 The Secrets Akumal Riviera Maya is an adults-only escape enveloped by the verdant tropics situated all along Cancun’s iconic Riviera Maya and Akumal region, seamlessly combining the surrounding splendour with a trademark secrets level of comfort, style and luxury. Adventurers seeking to indulge in the highlights of Akumal and the nearby Playa Del Carmen are sure to be in for a treat while those simply looking to relax in the comfortable confines of the resort will feel completely spoilt by the in-house facilities, dining venues and plush-filled accommodations on offer, making this one exotic haven to remember. The Junior Suite Tropical View offers guests 50sqm of accommodation space elegantly designed with modern comforts and stylish decor to appeal to any and all travellers. 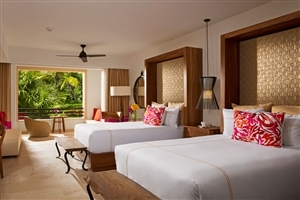 The suite features a private balcony or terrace that grants beautiful tropical views. The Junior Suite Partial Ocean View offers guests 50sqm of accommodation space elegantly designed with modern comforts and stylish decor to appeal to any and all travellers. The suite features a private balcony or terrace that grants beautiful ocean views. The Junior Suite Swim-Out offers guests 50sqm of accommodation space elegantly designed with modern comforts and stylish decor to appeal to any and all travellers. The suite features a private balcony or terrace that grants beautiful tropical or pool views and provides additional direct pool access. The Preferred Club Junior Suite Tropical View offers guests 53sqm of accommodation space intricately fitted with an assortment of lavish furnishings, modern amenities and a stylish sense of decor that comes together to create a beautiful setting. 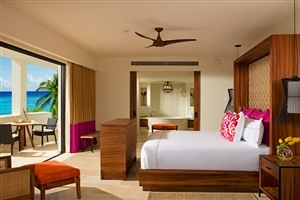 The suite features a private balcony or terrace that boasts of tropical views and grants guests Preferred Club privileges. The Preferred Club Junior Suite Ocean View offers guests 53sqm of accommodation space intricately fitted with an assortment of lavish furnishings, modern amenities and a stylish sense of decor that comes together to create a beautiful setting. 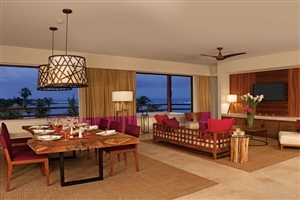 The suite features a private balcony or terrace that boasts of ocean views and grants guests Preferred Club privileges. The Preferred Club Junior Suite Swim-Out offers guests 53sqm of accommodation space intricately fitted with an assortment of lavish furnishings, modern amenities and a stylish sense of decor that comes together to create a beautiful setting. The suite features a private balcony or terrace that boasts of ocean or pool views, provides direct swim-out access to the pool and grants guests Preferred Club privileges. The Preferred Club Junior Suite Ocean Front offers guests 53sqm of accommodation space intricately fitted with an assortment of lavish furnishings, modern amenities and a stylish sense of decor that comes together to create a beautiful setting. 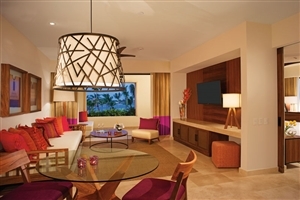 The suite features a private balcony or terrace that faces out over the ocean front and grants guests Preferred Club privileges. The Preferred Club Junior Suite Ocean Front Swim-Out offers guests 53sqm of accommodation space intricately fitted with an assortment of lavish furnishings, modern amenities and a stylish sense of decor that comes together to create a beautiful setting. 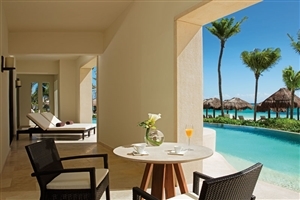 The suite features a private balcony or terrace that faces out over the ocean front, provides direct swim-out access to the pool and grants guests Preferred Club privileges. The Romance Master Suite Ocean View offers guests 118sqm of accommodation space that invites couples to indulge in opulent amounts of space, elegance and style, making this an idyllic setting for honeymoons and romantic sojourns. The suite features a private balcony or terrace that showcases views of the gorgeous ocean for an enhanced occasion. The Romance Master Suite Ocean Front offers guests 118sqm of accommodation space that invites couples to indulge in opulent amounts of space, elegance and style, making this an idyllic setting for honeymoons and romantic sojourns. 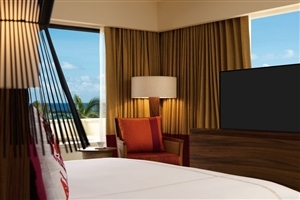 The suite features a private balcony or terrace that showcases views of the ocean front for an enhanced occasion. The Presidential Suite offers guests 331sqm of accommodation space whose sense of opulence is exceeded by no other, coming designed with only the best styles, most comfortable furnishings and more room to roam than any of the other abodes. The suite features a spacious living area, a kitchenette, a private balcony or terrace that boasts of ocean front views and a plunge pool. Market Cafe – Choose from a variety of international dishes served buffet style. 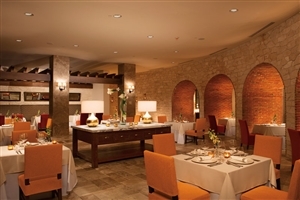 El Patio – Sample the heat and spices of Mexico in the El Patio restaurant. 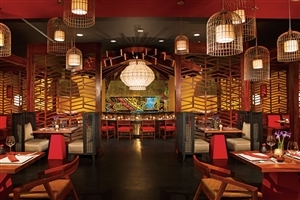 Himitsu – Refresh your palette with the pan-Asian eastern dishes served up in Himitsu. 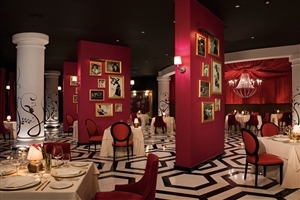 Portofino – Bring the taste of Italy to your dining experience at Portofino. 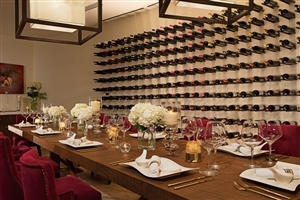 Bordeaux – Try the rich flavours of French gourmet delicacies at this formal a la carte restaurant. 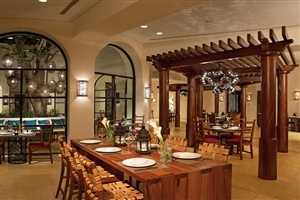 Seaside Grill – Enjoy gourmet food straight from the flame at the Seaside Grill restaurant. 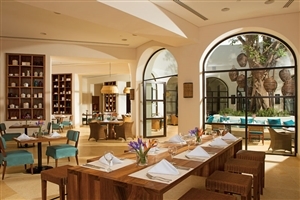 Oceana – Enjoy mouth watering grilled steak and fresh seafood specialities. Coco Cafe – Sweets and treats are on the menu at the Coco Cafe. Barefoot Grill – Taste the splendour of grilled food at the Barefoot Grill. 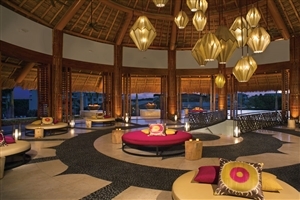 Rendezvous – Ease back into comfort and style at this lobby lounge and bar. Manatees – You don’t even have to leave the pool to grab a drink with this swim-up bar at hand. 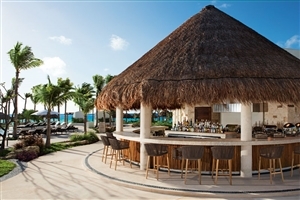 Barracuda – Choose from a variety of signature cocktails at this beach and pool bar. Desires - Imbibe on some choice beverages and dance the night away at this musical lounge. 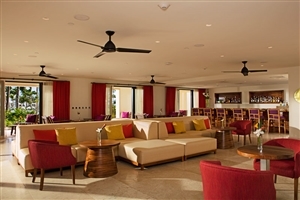 Sugar Reef – Enjoy the views of the ocean and pool along with refreshing beverages. Revive – Pay a visit to this health bar located next to the spa for a real healthy cleanse. Showtime – Grab a refreshing drink and enjoy the entertainment at this chic theatre bar. 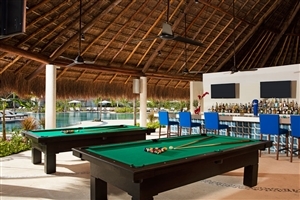 Halftime Bar – Shoot some pool and enjoy the sun while unwinding at this casual poolside bar.